handling systems across the United States. From concept to structural analysis and component details, Seizmic has the expertise to handle just about any job, large or small, engaging its extensive engineering and CAD staff to ensure the needs of its customers are met. Component details provide connection information for material handling structures. These details include material specifications, anchorage requirements, beam to column connections, welding details, etc. These details help the manufacturing process ensure precision. 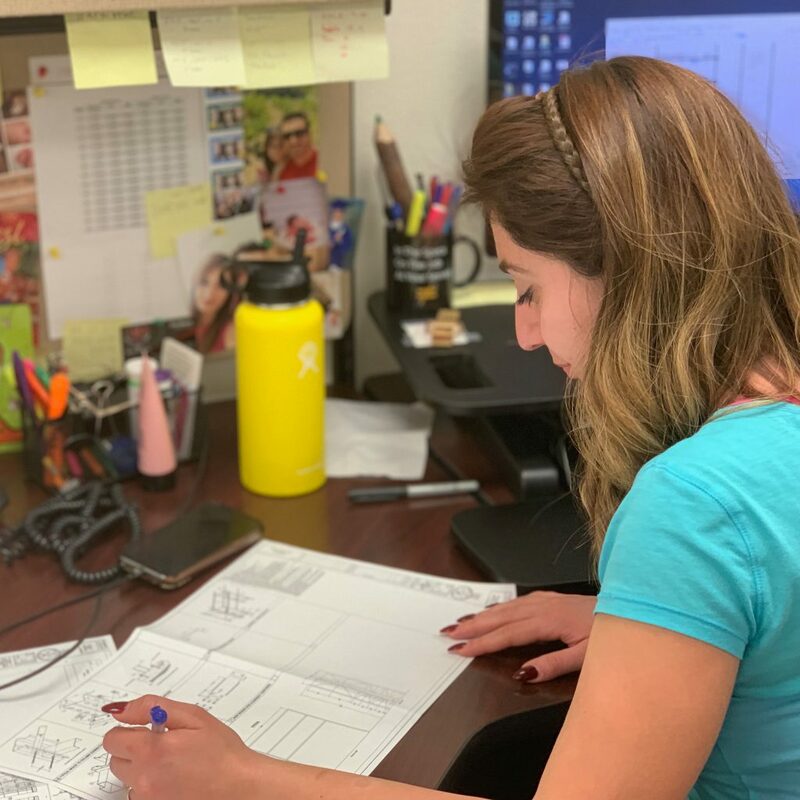 Layout drawings provide details on the larger scale, and typically include plan view, elevation views and cross section details for the entire material handling system. These layouts ensure the project will be installed per plan. Seizmic Engineering is the only material handling firm offering free 24-hour preliminary analysis through our innovative online prelim tool. 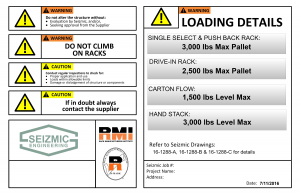 Did you know that displaying accurate load capacity plaques is required by the International Building Code (IBC)? 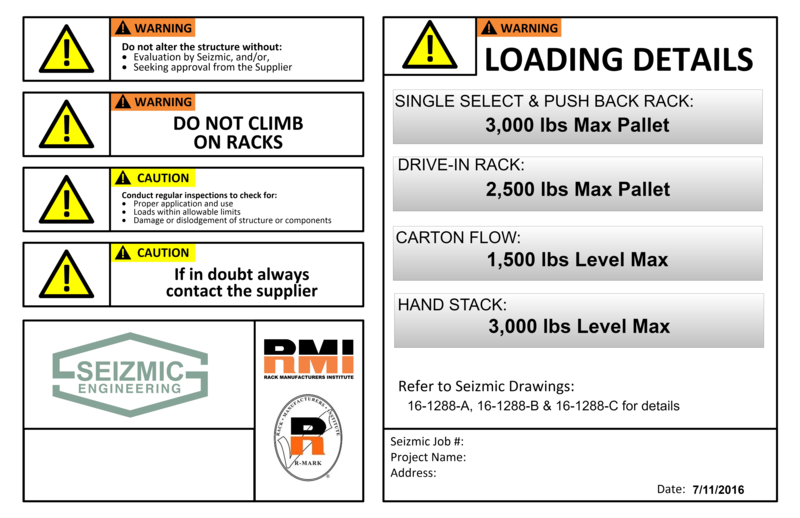 Our engineers can help you calculate code compliant load plaques to display at your site.